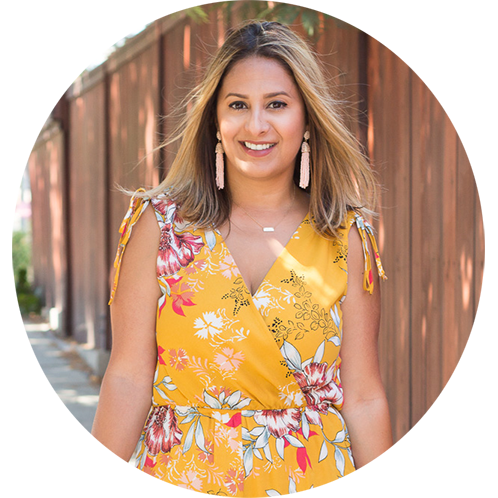 A side from sharing easy every day looks, my love for home decor is right on top of the list. 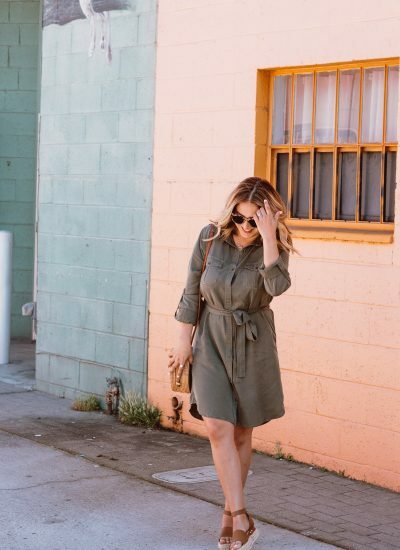 There is just something about decorating or even styling a look that makes me so happy. I’m a big believer that it sets the mood for the day, don’t you agree? Heck, I know it does for me. That’s why I make it a habit to invest my creative side on both because at the end of the day, I want good vibes all around. You know what I mean? 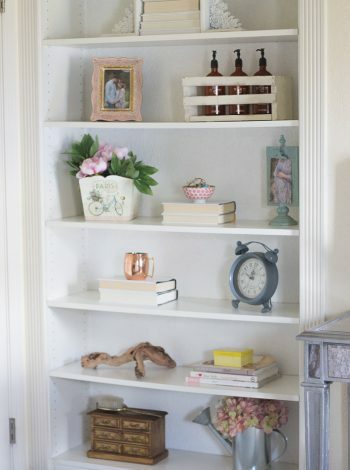 Now…back to home decor….You’d be surprise how you can style your home no matter the season. First and foremost, there is no need to break the bank. My tip is to work with what you have and go from there. I have so many pieces I’ve collected through the years and forgot I even had them. 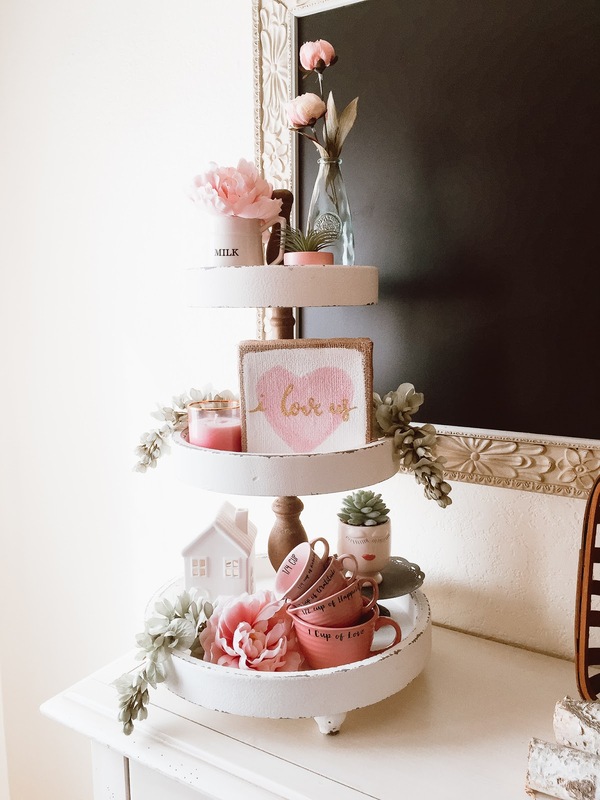 So styling this tiered tray for LOVE day…I focused on my new piece, this wood tapletop frame -“I love us.” From there, I made sure to incorporate pink pieces all around for a fun V-day style look. I made sure each level had one focal point – looking at it like a ‘Z’ and filling in from there. I added fake peonies and greenery that I had from other designs to fill those empty spots and voilá! You have yourself a styled tiered tray on a budget. « New Year Look and Changes to the blog!